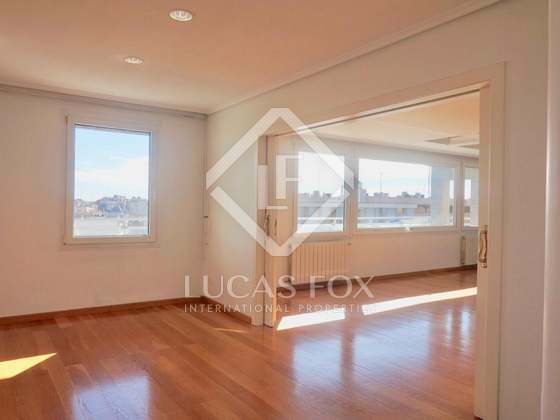 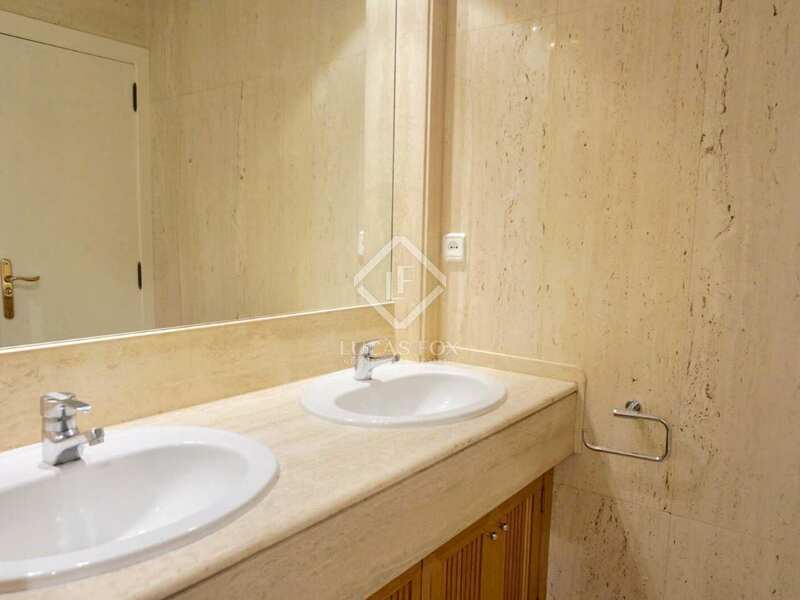 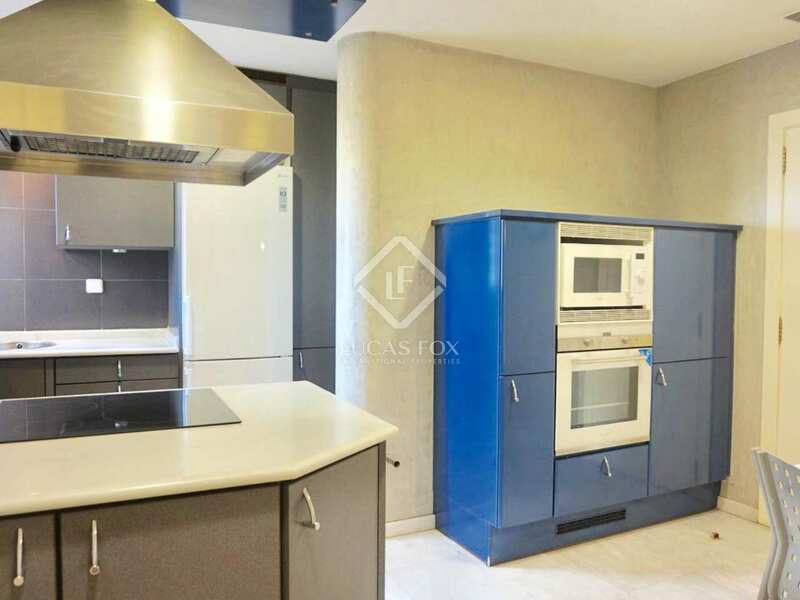 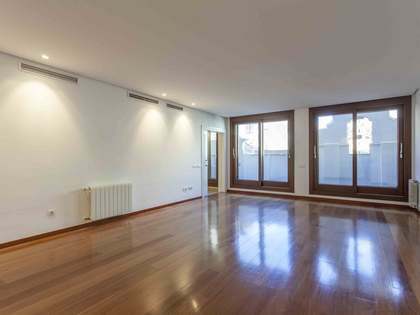 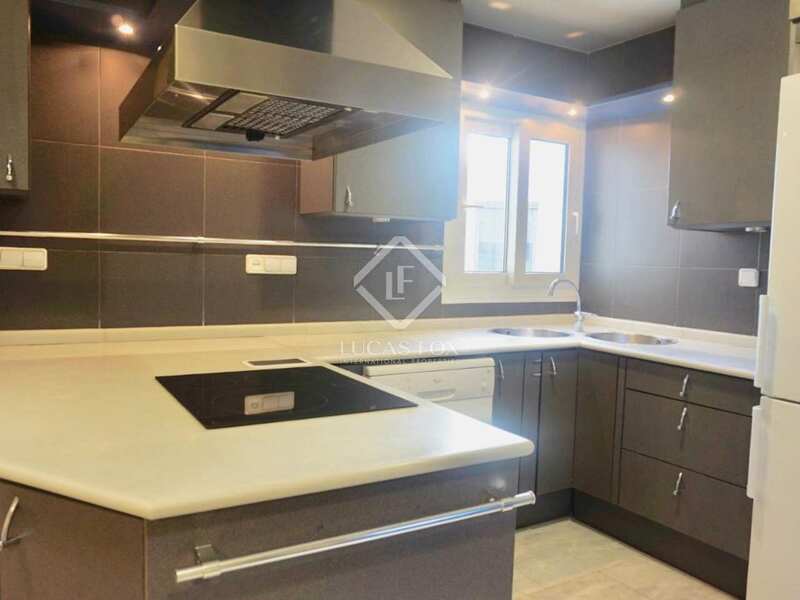 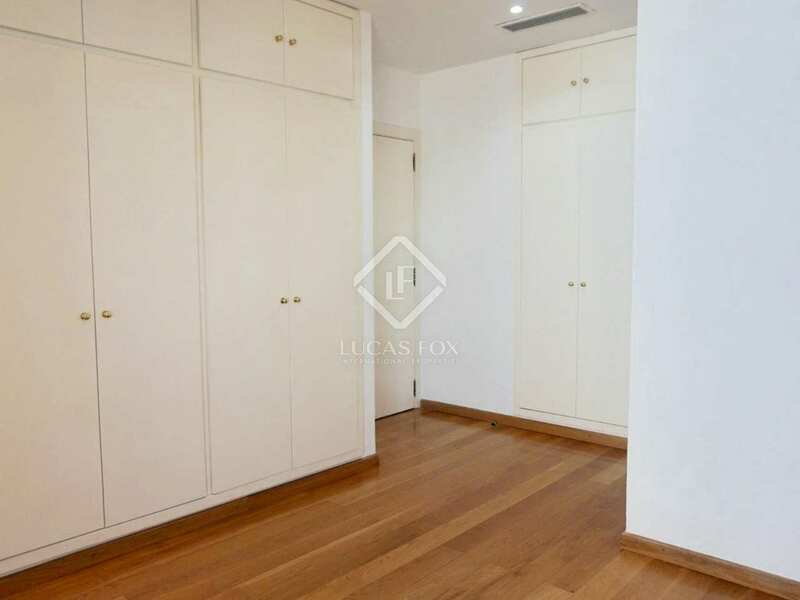 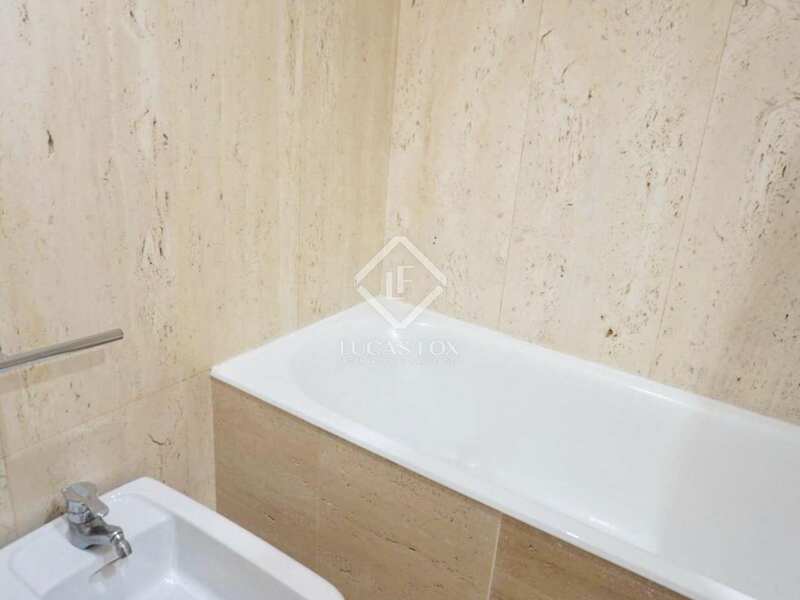 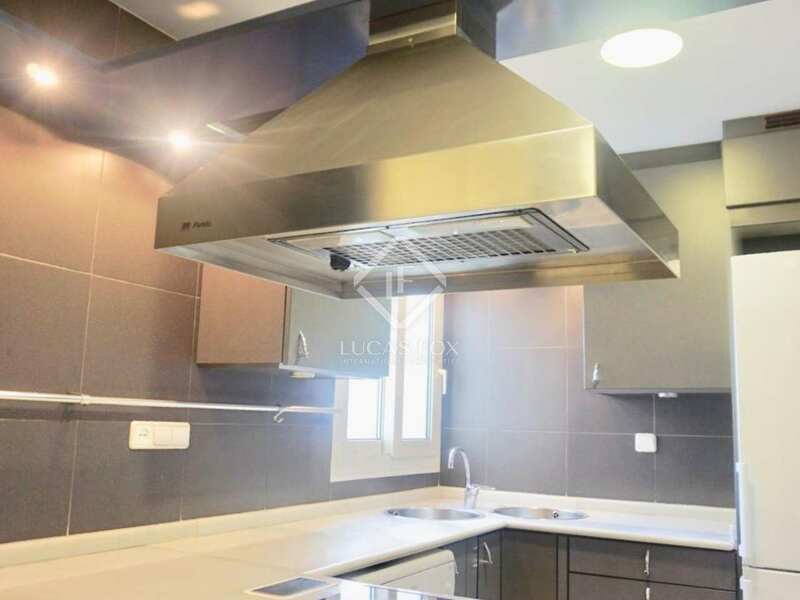 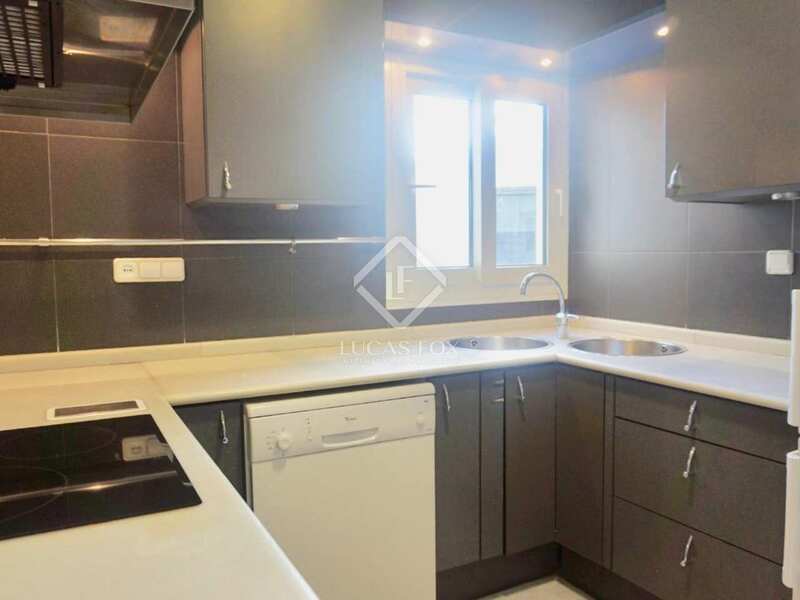 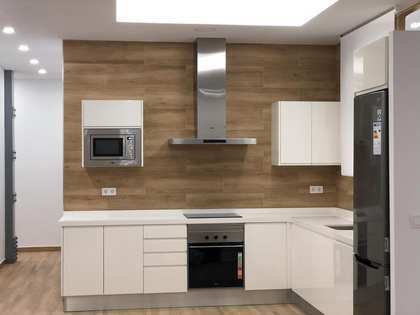 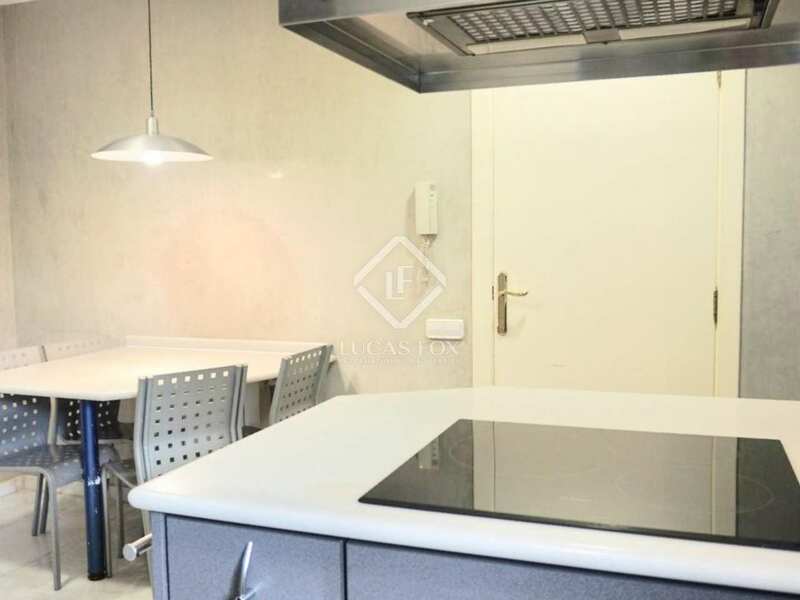 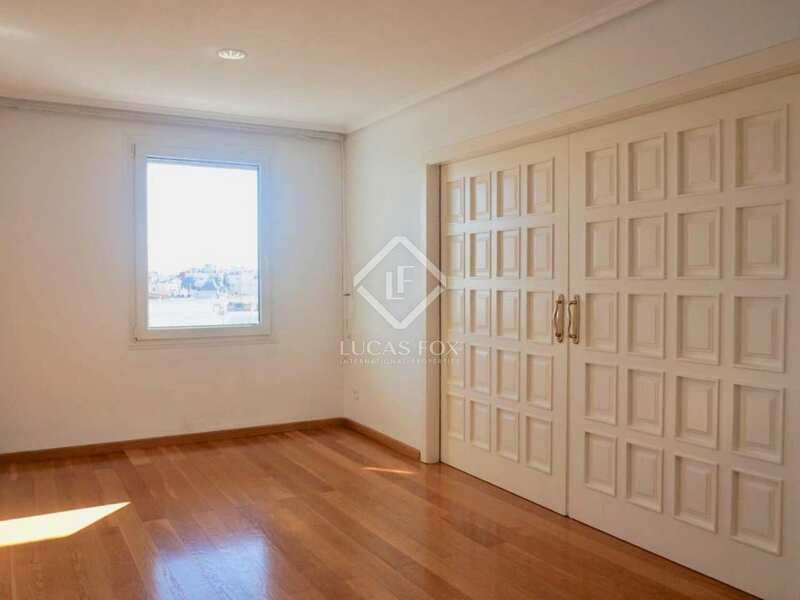 Excellent renovated 185 m² apartment for rent in a building with a concierge service and garage, located on Valencia's main street, a few steps from the Colón metro station and the Turia Gardens. 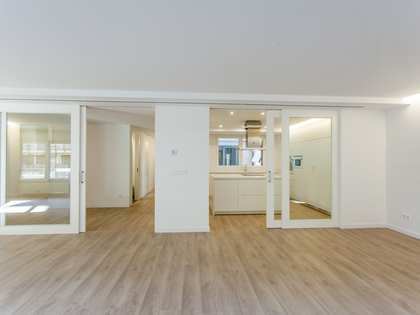 An entrance hallway separates the day area from the night area. 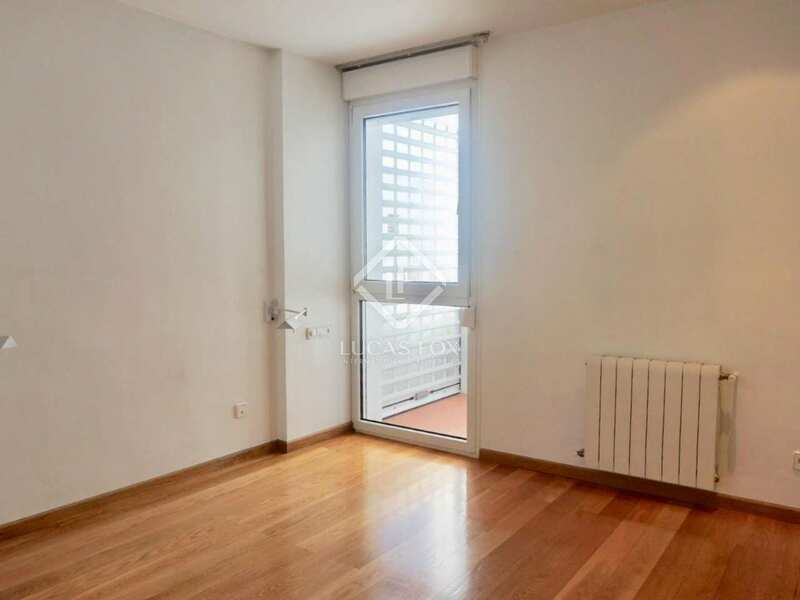 The day area is east facing and has a large living room with access to an office and a second smaller room that could be used as a dining room. 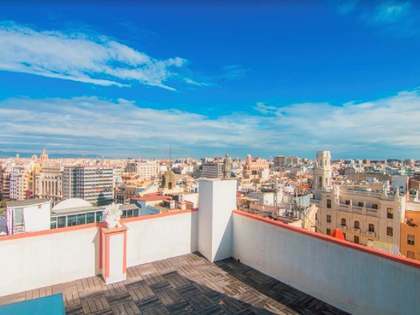 Both have access to the balcony and offer views of Calle Colón. 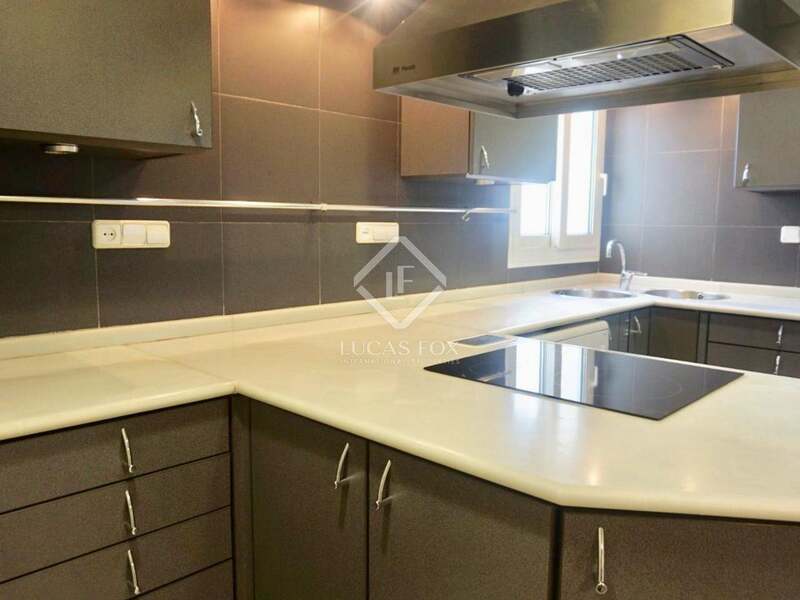 The kitchen is fully equipped with all appliances and there is also a full bathroom in this area of the apartment. 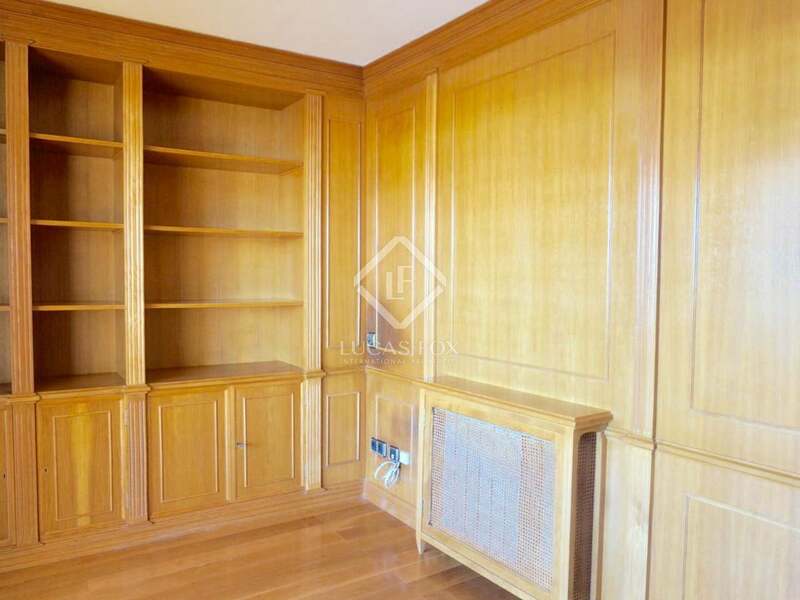 The sleeping area has 4 bedrooms: 2 doubles and 2 singles. 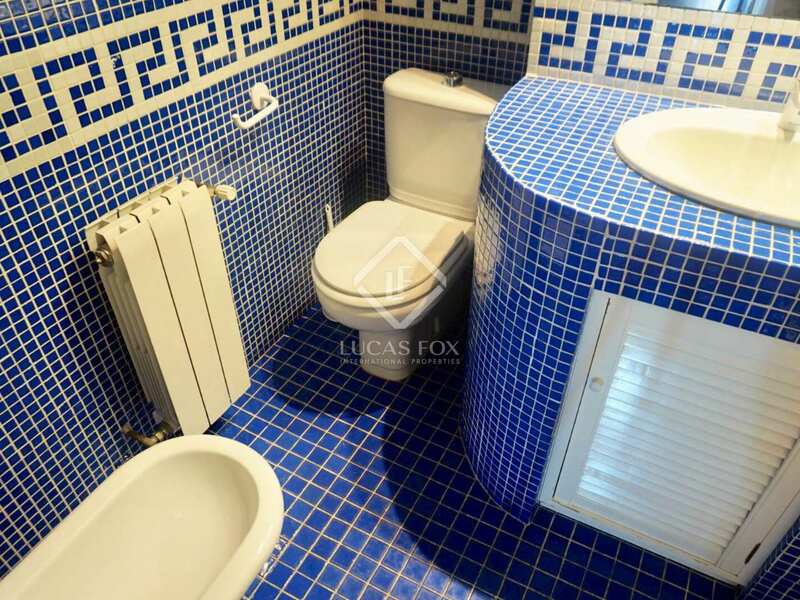 The master bedroom has its own private bathroom, as does one of the single rooms. 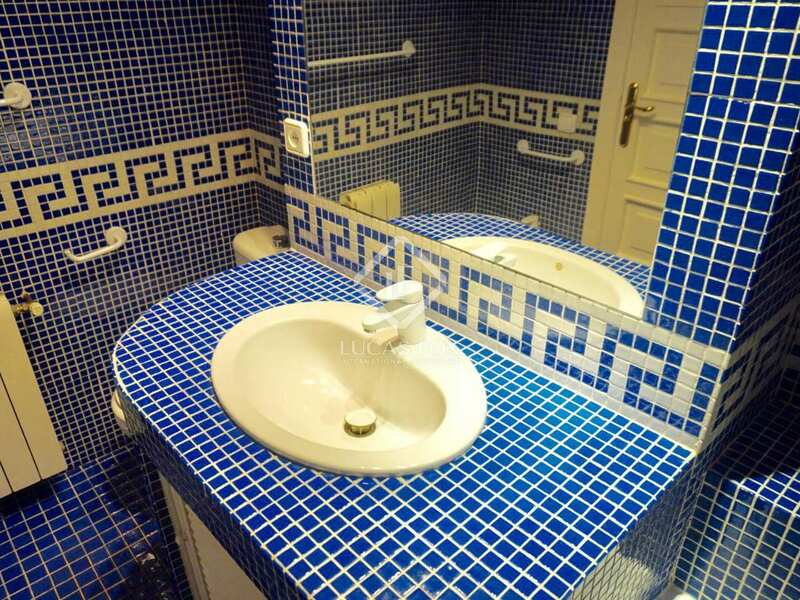 A third complete bathroom serves the remaining bedrooms. 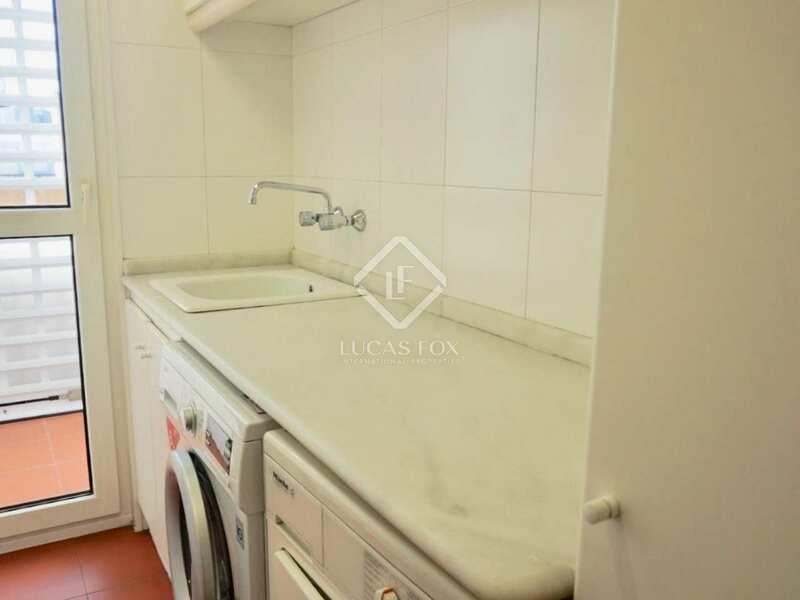 The apartment also has a utility room, equipped with washing machine and dryer. 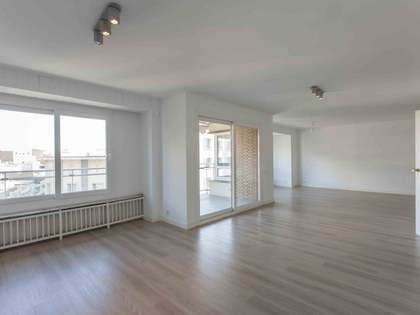 Thanks to its location on the 10th floor, the apartment offers spectacular city views. In addition, it has wooden floors, air conditioning ducts and heating. 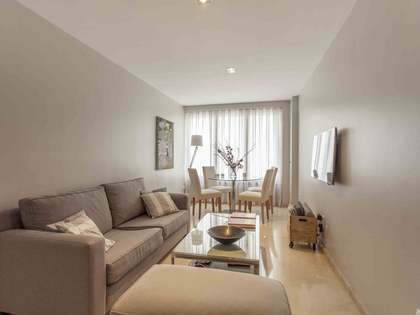 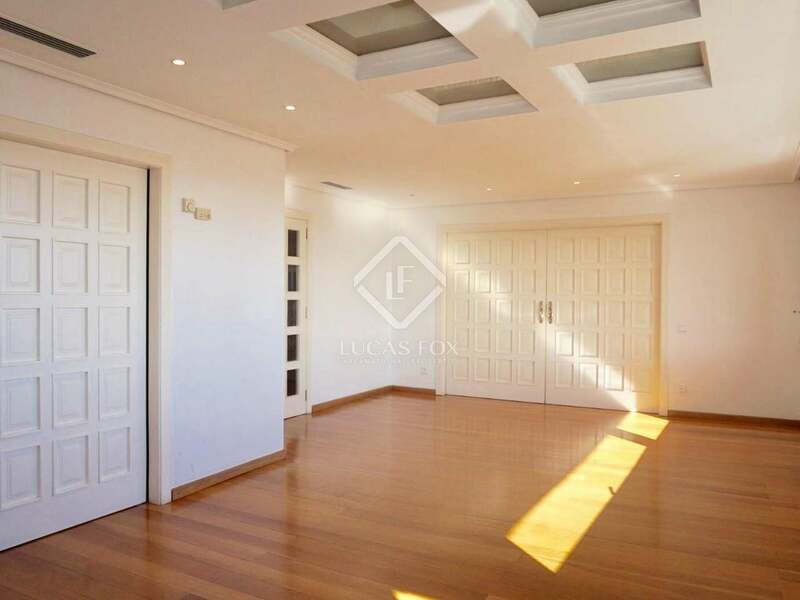 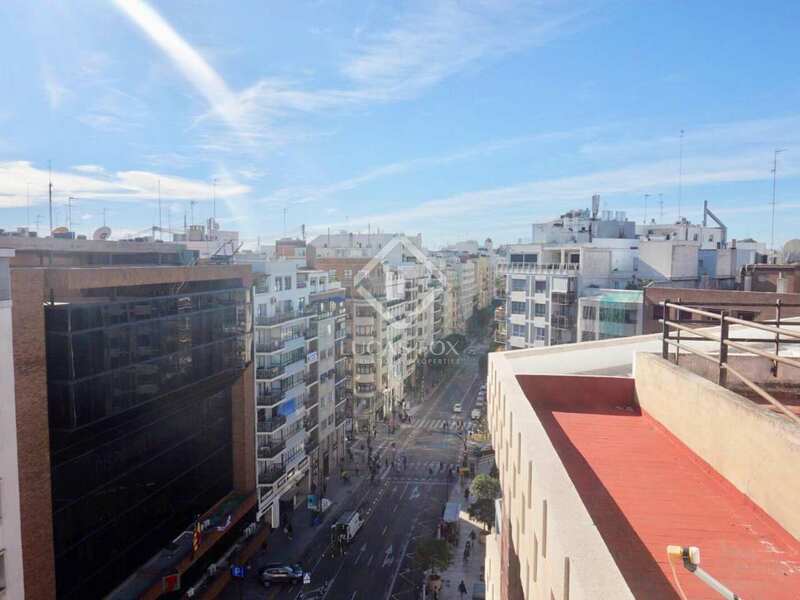 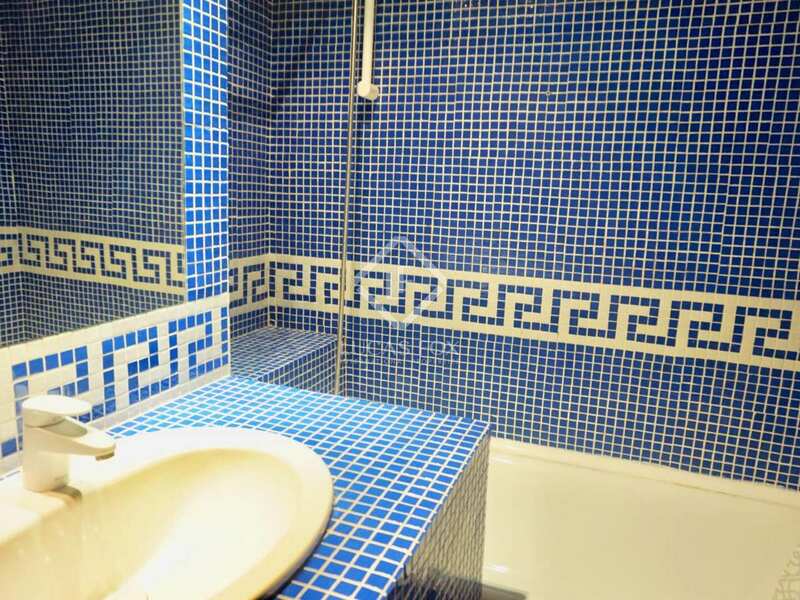 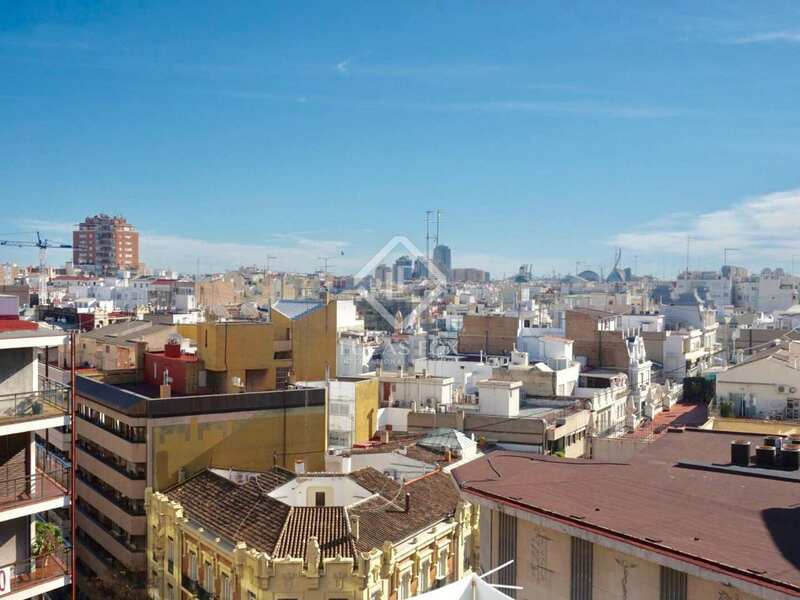 Contact us to visit this attractive apartment in the heart of Valencia. 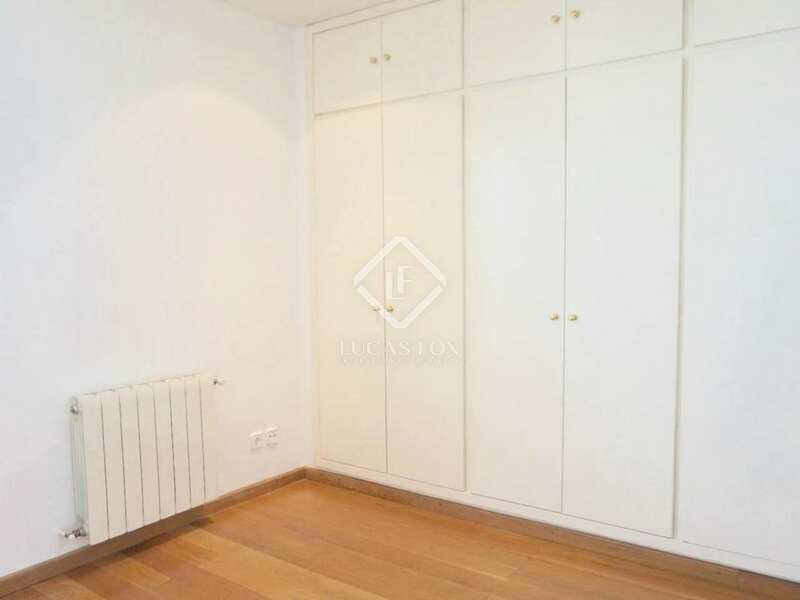 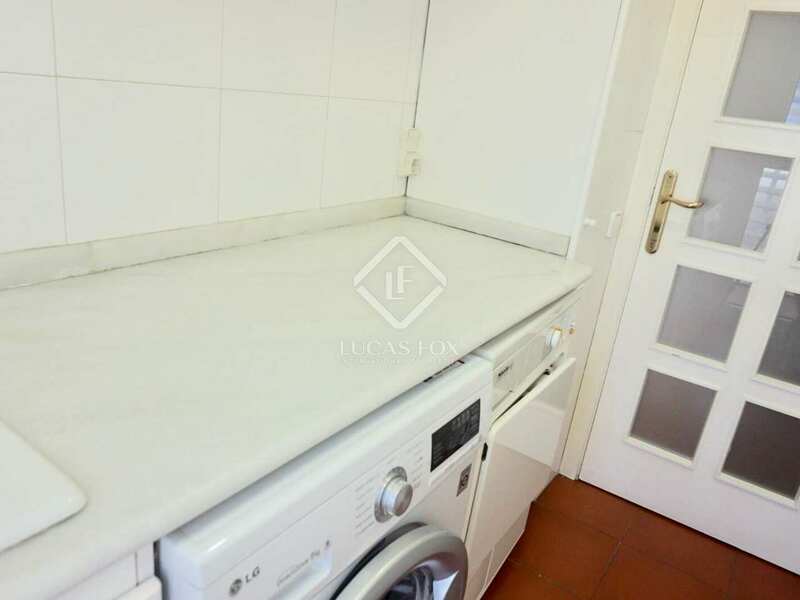 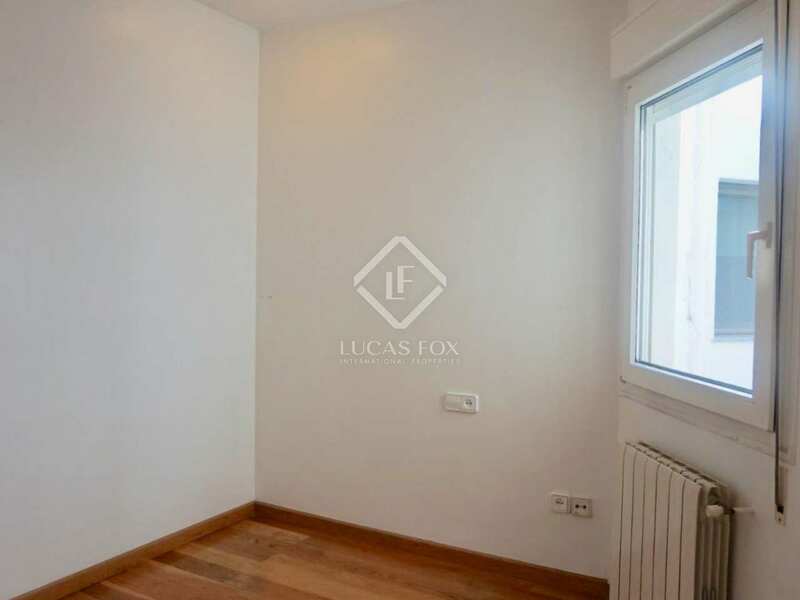 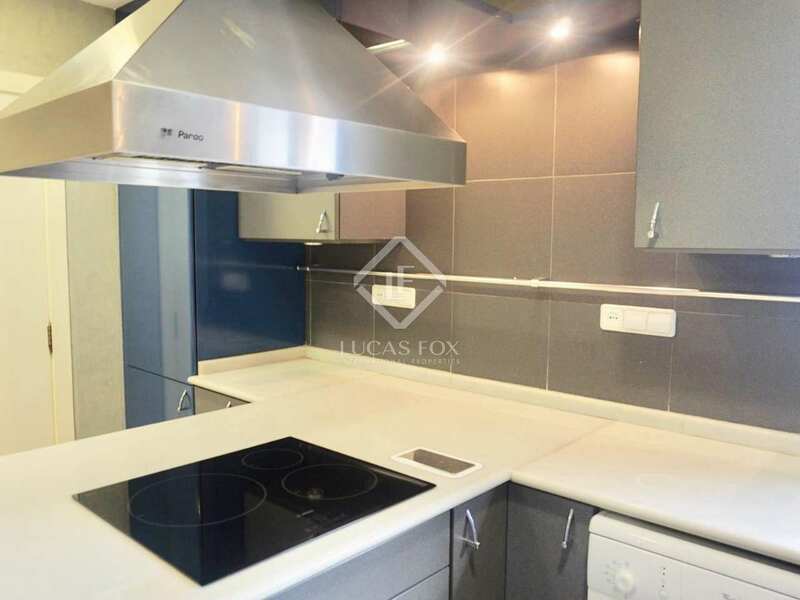 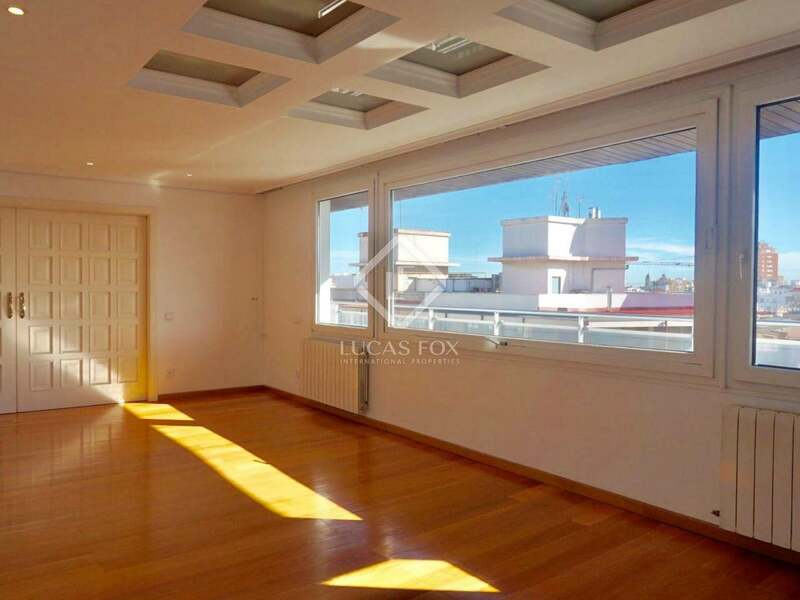 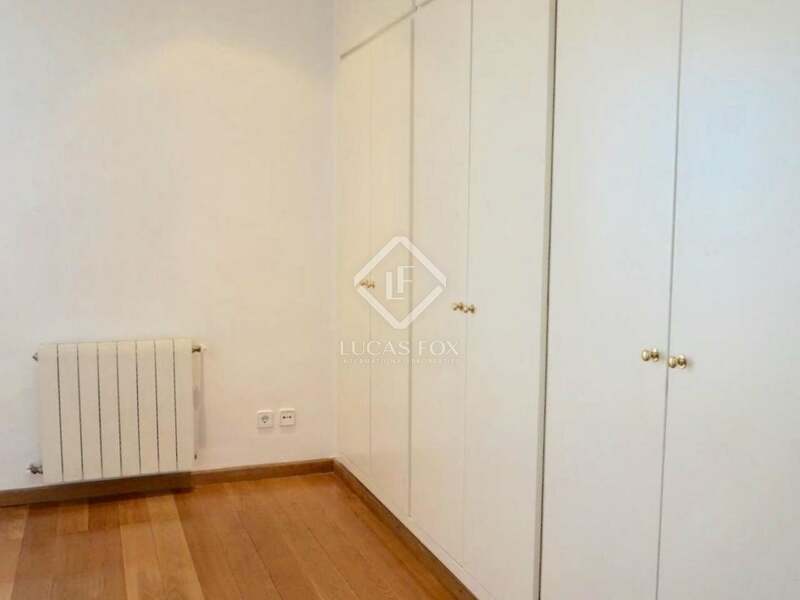 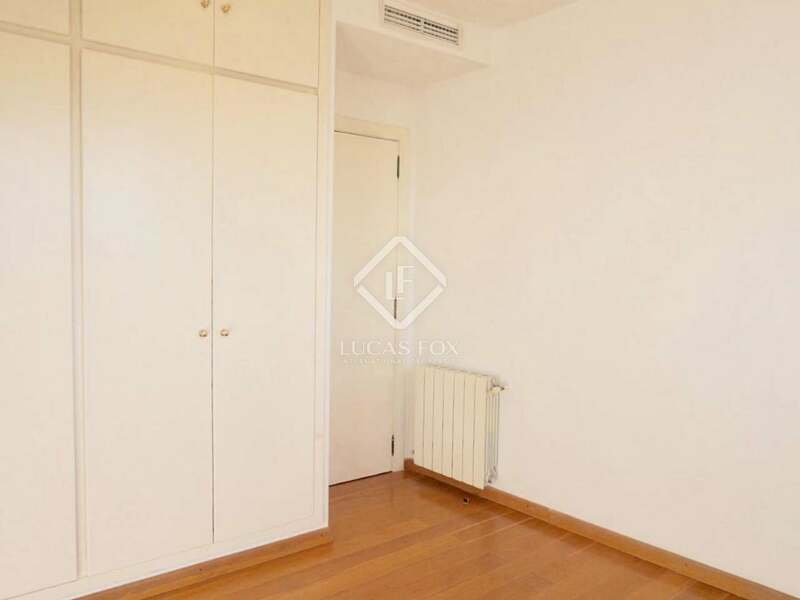 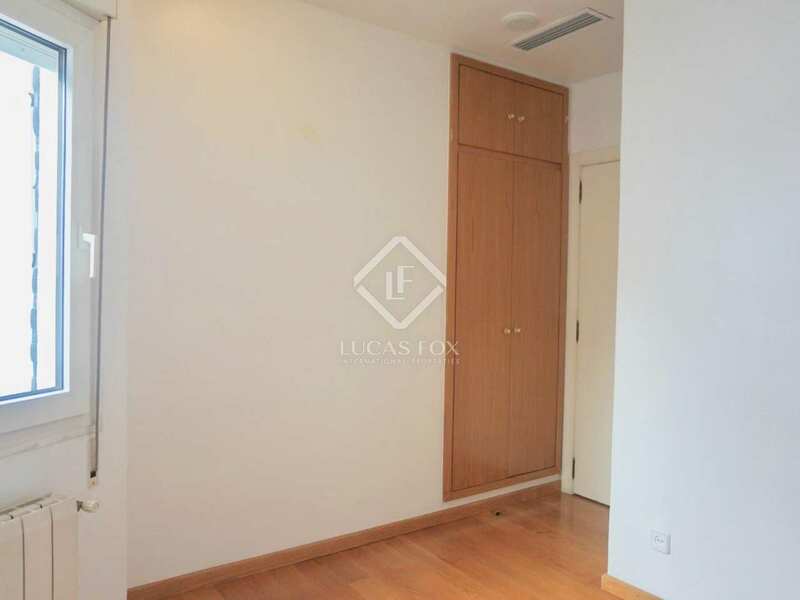 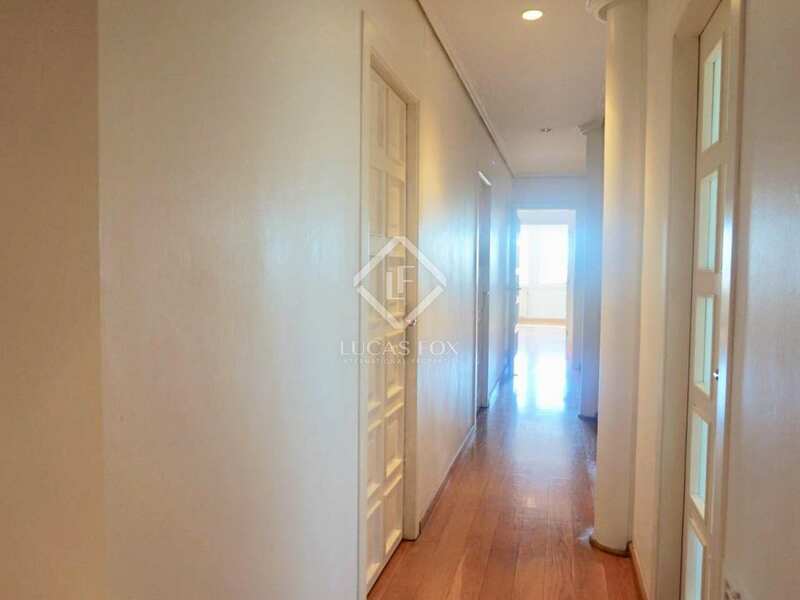 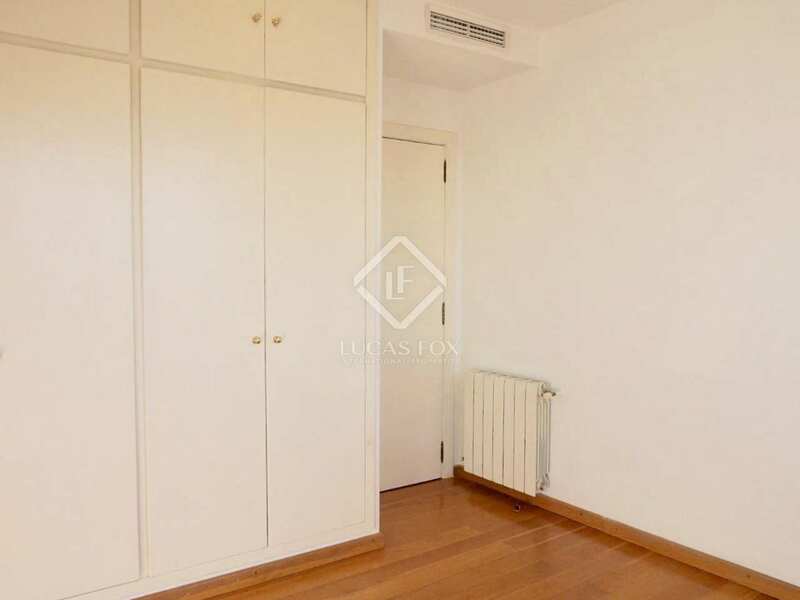 This apartment is for rent a few steps from the metro station of Colón and close to numerous bus lines, connecting the area to the rest of the city and the surrounding areas. 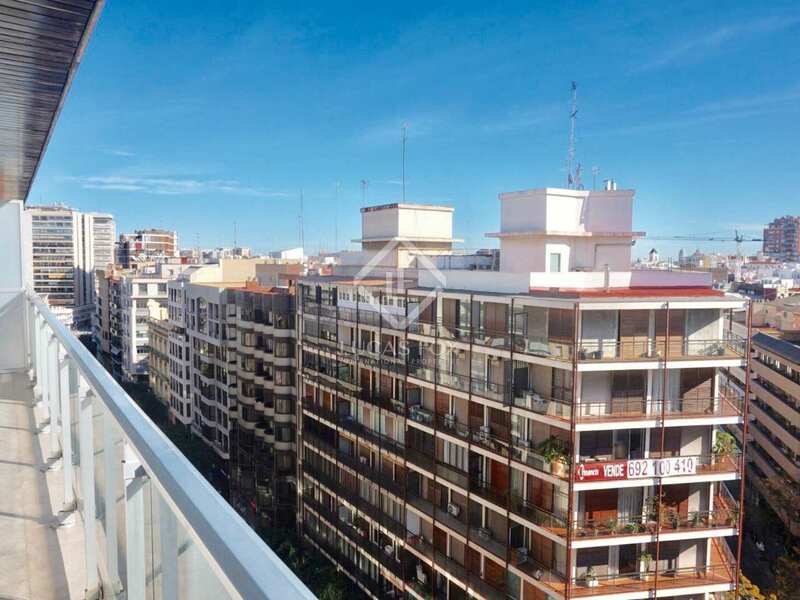 It is also close to the Jardines del Turia and the Puente de las Flores.